» Board Booster Closed – Now What? This post has affiliate links for the services I recommend using. If you sign up using my link, I might get a commission. It doesn’t cost anything extra for you. Learn how to do this on your own blog here. I am a Tailwind Ambassador however, all of the opinions and views expressed here are 100% my own. Everything I express below is my opinion based on my own observations. Which Pinterest Tools are Okay to Use? How Can I Loop My Pins Like BoardBooster? I made the move from BoardBooster years ago but many many bloggers are still using the tool. 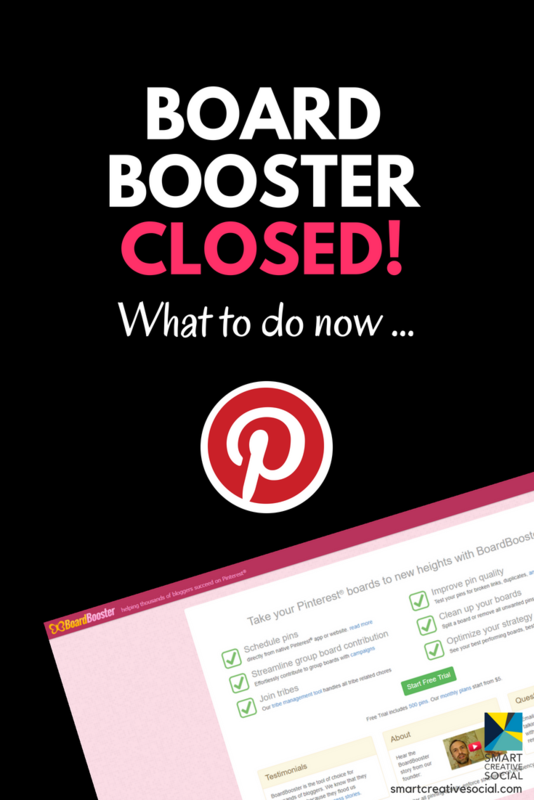 Lots of people told me they had great results with BoardBooster but I am rule follower and I dropped it once I found it was not approved by Pinterest. When I first heard about BoardBooster closing, I was like, “meh”. It honestly does not affect me and I am not one to get into freak out mode over this kind of thing. But when a lot of my followers started reacting and I started getting messages and emails from people who found my YouTube videos about Tailwind when they were looking for a solution, I felt it was a good idea to address this head on. I do not like to feed into drama but I think the reason BoardBooster is closing is definitely a good topic of conversation because it illustrates the changing relationship between developers and the platforms they develop software for. If you don’t play by the rules the platform puts out, they will do everything they can to shut you down. Why? For the experience of their users. Last year we saw MassPlanner along with a slew of other Instagram bot services get shut down by Instagram’s lawyers. These bots were abusing Instagram’s API or bypassing it to create functionality that was against Instagram’s terms of service. Sounds a lot like BoardBooster, huh? We’re going to continue seeing platforms put out rules that protect their interests, such as their users’ experience, the way they make money, and their security. We will also see an increase in the swiftness and severity with which the platforms enforce those rules. Being aware of this change in how platforms allow developers to access them is going to help you make better decisions about which tools to invest in and which tools to avoid. We have some sad news to share. BoardBooster will shut down on Wednesday, June 27, 2018 after four exciting years. We were always focused on listening to our users and helping them succeed on Pinterest. 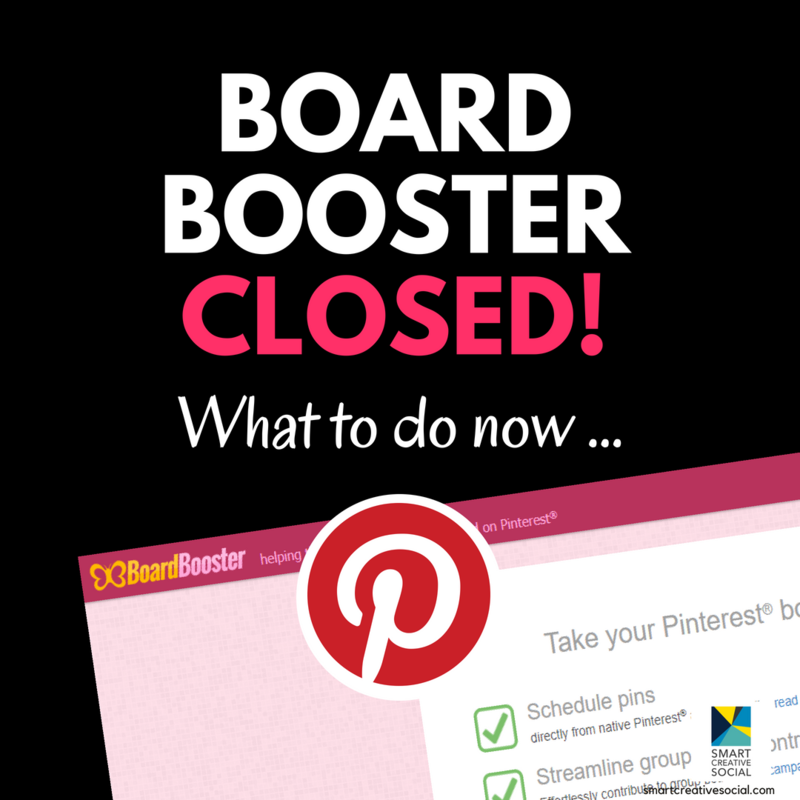 Unfortunately, BoardBooster’s approach to pinning is no longer allowed. Our attempts to obtain the official partner status for BoardBooster did not work out, so it’s time to move on. We apologize for the inconvenience that this may cause to you! Your BoardBooster account will be available through June 27th in case you want to print out your reports or invoices. Then BoardBooster will stop pinning and all sensitive data will be securely deleted. We’re going to process all due refunds over the next 30 days. BoardBooster’s founder will post a personal note with more details tomorrow. Thank you for your support, and best of luck with your ventures! A few years ago, Pinterest released an official API. That’s basically a way for developers to safely have their software communicate with Pinterest in an approved way. Every platform has rules for their API to help prevent spammy activity and keep all of the users safe. What did Board Booster do “wrong”? Pin looping and other Pinterest scheduling features. Pinterest is pretty protective of their feed. And that’s because they want the best experience for their pinners to discover new things. While pin looping doesn’t seem like a bad idea, it can be abused and can lead to people dumping content over and over onto Pinterest. When the content doesn’t add to the conversation (it.s not new, there’s no new images, there’s no new angle … ) it just creates noise. And that leads to a bad experience for the pinner. Avoiding the API. 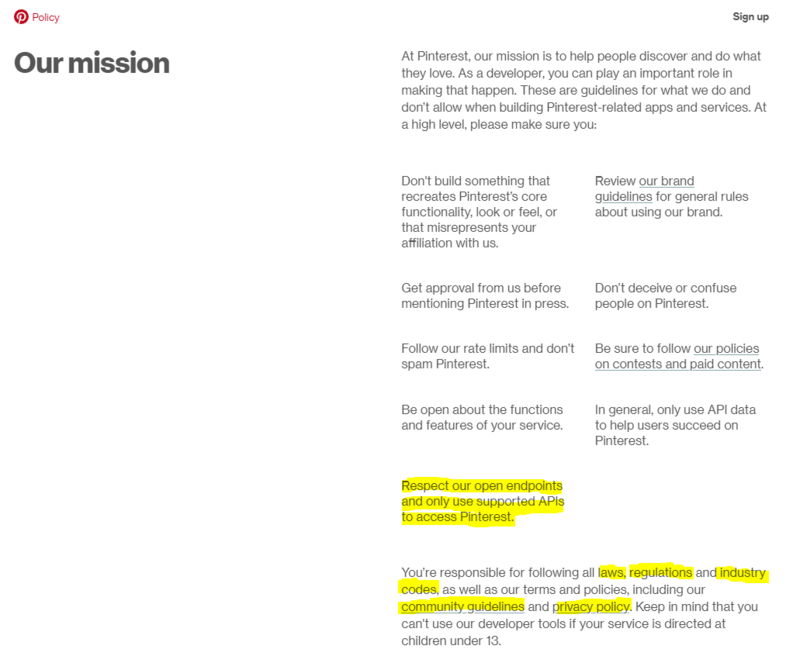 Pinterest limits activity with their API so that only approved activities that protect the pinner experience are allowed. BoardBooster knowingly refused to operate using the API,thus refusing to submit the Pinterest’s controls. Whether you agree with that or not, it’s Pinterest’s platform and they can decide who they want to access it or not. the API is their approved process for accessing the platform. Period. BoardBooster stated publicly in June 2018 that they were open to working with Pinterest but it does not look like things went in that direction. By violating follow Pinterest’s rules, anyone who used BoardBooster to access their Pinterest account was also violating Pinterest’s rules and guidelines. This is why we have seen a rash of reports of people’s accounts being terminated on Pinterest. They tell us right on their website that they can do this (part 7. Termination). Pinterest issued a very strong message deterring account owners from using services that are not approved, like BoardBooster, in the beginning of June 2018 during Pinterest’s first ever “In the Making” Conference and in a strongly worded email following the event. We noticed that you make be using BoardBooster with your Pinterest account. We know that scheduling tools can be a helpful addition to your workflow so you can spent ore time ceating high quality content that inspired people to try new things. Pinterest supports the use of scheduling tools through our Pinterest Markeitng Partners, who use a secure, Pinterest sign-in mechanism and Pinteret’s API to upload content to the Pinterest service in compliance with our terms of service and developer agreements. BoardBooster is not a supported Pinterest Marketing Partner or a Pinterest-approved tool … Additionally, BoardBooster may employ spammy behaviors on your behalf that can get your account flagged and terminated without further warning to you. To maintain the security of your Pinterest account and avoid account termination, we recommend that anyone currently using BoardBooster in connection with Pinterest switch to a supported Pinterest Marketing Partner and update their Pinterest password. 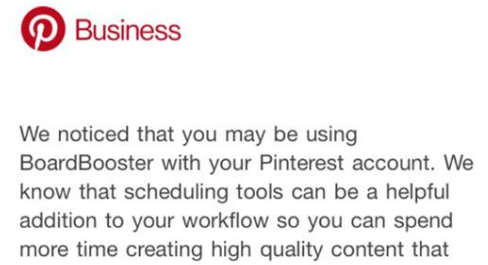 Don’t put your account at risk by using any tools for your Pinterest account that are not approved by Pinterest. Stop using Board Booster. Delete your account. If you’re reading this after June 27, then you can skip this first step. Change your password on Pinterest. Ease into posting and scheduling on Pinterest – don’t make any big drastic changes. Allow a few weeks for your account to reset and settle. Pinterest has stated over and over, and most recently at VidCon 2018, that using a Pinterest approved tool to schedule pins has no negative affect and no advantageous effect over pinning manually to Pinterest. Analytics – I can use Tailwind’s analytics to get even more information about pin performance, group boards, and more that helps me in making decisions about my Pinterest strategy. Tailwind Tribes – Find and share content with others who have similar interests. You can see how well your content is performing and more! Board Lists – I’m gonna tell you more about these later but essential, with one button you can add your pin to all of your relevant boards, saving you hours of work. Tailwind cares – Tailwind is truly invested in our success, offering free training and developing features to help us pin our content and get results. They really do care! How Can I Pin to Group Boards Like BoardBooster’s Campaigns? BoardBooster allowed you to streamline group board scheduling with a feature called “Campaigns”. Campaigns allowed you to set the frequency with which a pin was scheduled to a group board. Essentially you could “set it and forget it” but setting up the campaign to repin that content to the same boards over and over again. While reusing content on Pinterest isn’t “bad”, there is a point that it becomes too much. You can flood the feed and negatively affect the experience of the pinner; and that’s what Pinterest does not want. So how can you streamline group board scheduling in Tailwind? Right now, there is no publicly available tool to “loop” your pins to repin over and over to the same set of boards. Tailwind is beta testing a feature to loop pins (keep reading to see it). However, there are some hacks for “looping” your pins in a semi-manual way with Tailwind. Wanna learn how? Read this! SmartLoop is coming soon! Tailwind is working with the Pinterest team to develop a “SmartLoop” tool in a beta test right now. 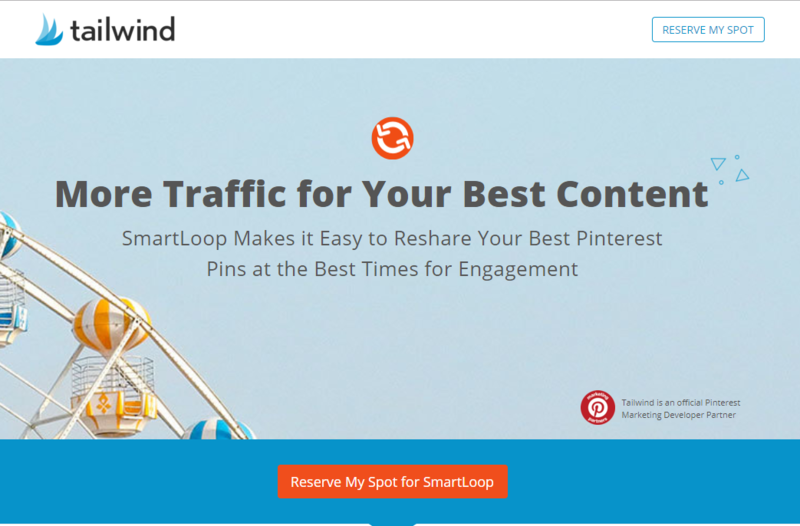 They key to this tool’s success will be Tailwind’s collaboration with Pinterest to understand best practices to create high quality strategies with “SmartLoop”. Click here to sign up for Tailwind and get in on the SmartLoop beta test today. What do you think of these changes? Do you have a Pinterest strategy that does not use BoardBooster? Tell me about it in the comments! PIN this to help spread the word to all of your blogging friends! Thank you for the post. I was a Boardbooster user, but now switched to Tailwind and like it!